Yes, I’m still alive. Mostly. 😆 Yes, I’m a year older. 😦 And to make things doubly sad, the cold snow kept any jonquils from blooming. For the first time since I can remember, I didn’t have a yellow flower to celebrate my birthday. Ah, well. In other news, guess what hits the bookstores on April Fool’s Day?!?! Yes, the release date makes me laugh. Yes, it’s Red Dirt Royalty Book #2. Yes, it’s reader favorite’s Cord Barron’s story. Here’s the cover reveal and blurb! She’s back at his ranch…with baby in tow! Be sure to mark it as WANT TO READ on GOODREADS! And just for fun, here’s the book’s Amazon rankings as of yesterday evening! Can I get a Woot! Tomorrow’s #1lineWed prompt is taste or smell so I’m hoping to have a chance to dig through COWGIRL’S LITTLE SECRET for some snippets! 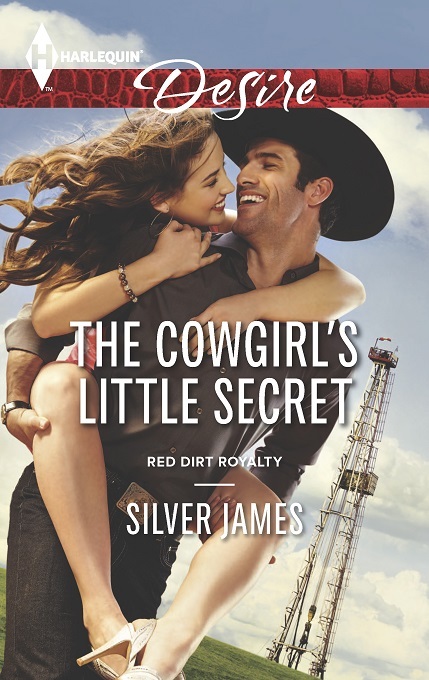 This entry was posted in Books, Writing Life and tagged Amazon Kindle, books, follow up, Harlequin Desire, reading, Red Dirt Royalty, series, The Cowgirl's Little Secret, Tuesday Titles, writing. Bookmark the permalink. Bummer about your jonquils. The weather lately has been totally asinine. I’m afraid to go look at my tulips and daffodils. They were coming up, but with the snow and junk, I’m guessing they’re deadzo. I love the cover and the blurb! And props on the release date. 🙂 Can’t wait for this story. And super congrats on those rankings! You rock! So glad you’re back to the land of the living. I really missed seeing you around. Woot! Look at that cover, will preorder when I get home tonight!! Happy Belated Birthday! I have not been on FB!